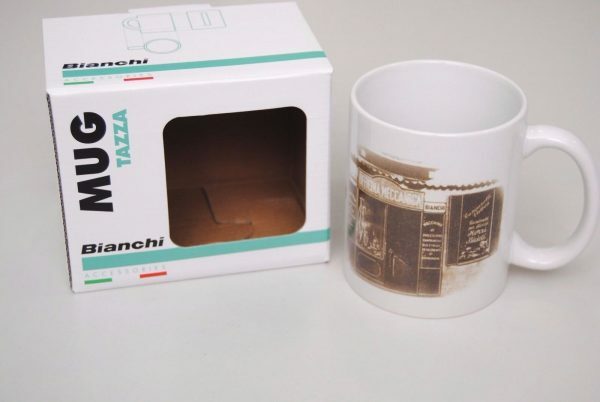 If you have a passion for the golden years of cycling and a taste for good roast then this Officina Meccanica Mug will tick all the marks. The Bianchi Officina Meccanica Coffee Mug image shows the original bicycle shop of Edoardo Bianchi. 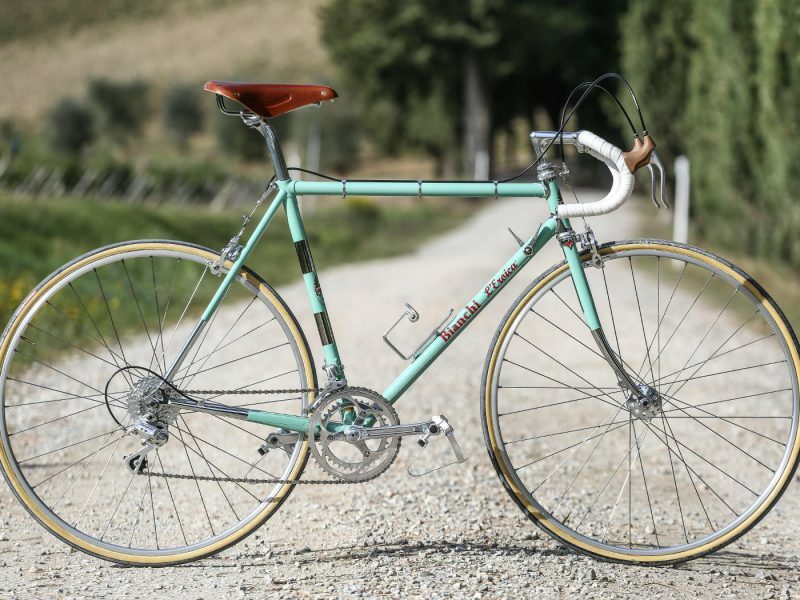 Edoardo started his Bianchi shop in 1885 in Milano. This famous Via Nirone address is also a name of one of the popular model bikes under the Bianchi name. 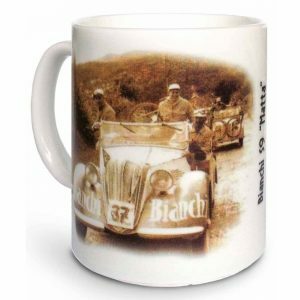 A classic Bianchi coffee mug that can be yours. As part of the Bianchi Coffee Mug Heritage collection the Officina Meccanica Coffee mug is a must-add inclusion for any collector or Bianchisti (Bianchi fan). 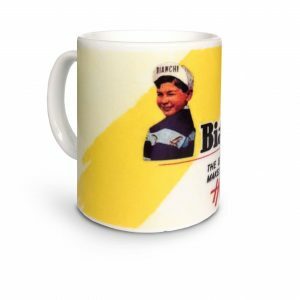 You can check out other Bianchi mugs like the S9 Matta, or the Child Poster mugs here. 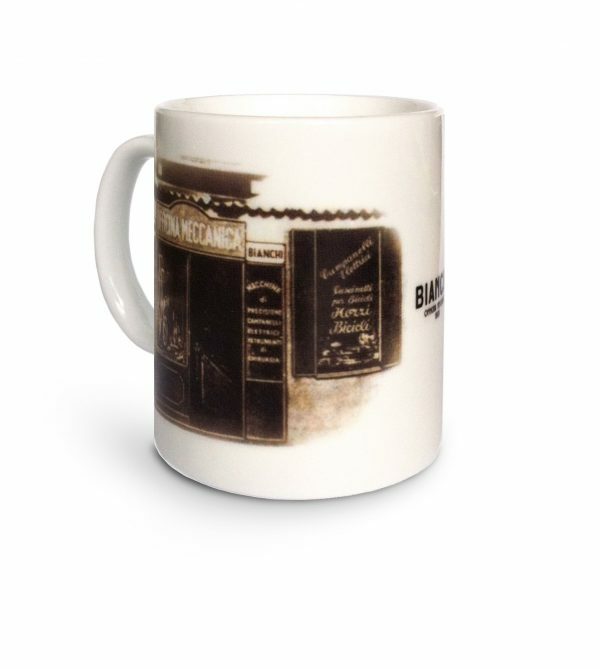 Our favorite cup in the vintage collection. 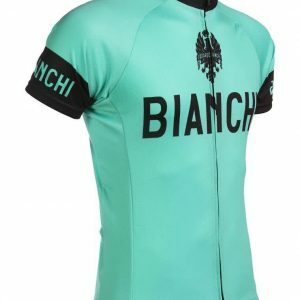 Own them all, a must for any true Bianchisti.